All credit needs to go to Stone Temple Pilots for what they’ve seen over the past few years. Even if neither Scott Weiland nor Chester Bennington were involved with the band upon their deaths, to see two former vocalists and public figures in their own right tragically lost would be a crushing blow for so many other bands. But now with Dry Cell frontman and American X Factor contestant Jeff Gutt at the helm, a new self-titled album seems to herald a new era of Stone Temple Pilots, beginning with a blank slate but given that extra starting push thanks to their storied ’90s legacy. And it’s fortunate that they’ve got such a legacy to fall back on, because this is not a band operating at full capacity. Chalk it up to transitional rust or burnout after everything they’ve been through, but for a band who were once one of the most exciting, creative acts in grunge, Stone Temple Pilots’ easing back into nondescript radio-rock territory is as unwelcome as it is underwhelming. What could have been a genuine overhaul for a band to claw themselves back to the top is instead the weakest iteration of Stone Temple Pilots to date. What’s worse is that there isn’t even a single area to which this decline can be attributed, rather just a general atrophy that’s incredibly easy to notice. For one, it’s unforgivably flimsy and undercooked in the instrumentation, defaulting to vaguely classic rock bluster that just seem to trail off without any discernible development or weight. Occasionally there might be a nice, thicker riff or groove like with Meadow or Roll Me Under, but they seem to be exceptions to the rule; rarely have Stone Temple Pilots ever sounded this unenthused about their own craft, whether that’s the geriatric hard rock limp of Never Enough and Good Shoes, or the sluggish ballads Thought She’d Be Mine and Reds & Blues that never want to end even though, with a distinct lack of real drive or imagination, it’d be in their best interest to do so as soon as possible. For what it’s worth, the production keeps everything sounding a little fresher, but that does the bare minimum in pulling this album up to anything of interest. But the big talking point is with Gutt and how well he fits the role of new frontman, and you can tell how hard he’s working to fill the enormous shoes set out for him. There’s power in his voice, and the move to classic rock stylings feels as though it was done to accommodate his whiskey-soaked rasp on a track like Six Eight, but alongside both Weiland and Bennington, he’s so out of his depth that it’s not even funny. Both had such inimitable vocal charisma and personality, which makes Gutt look even more like the vocalist of a tribute act than he already does. All it does is give an album with barely any defining features to speak of even fewer, so much so that this might as well not even be a Stone Temple Pilots album at all. What it’s perhaps most reminiscent of is Rage Against The Machine’s change to Audioslave upon a shift their decade-defining original sound to something a lot more streamlined and straightforward. But even then, there was still fire within Audioslave, and the benefit of Chris Cornell on vocals ensured some real power; Stone Temple Pilots, meanwhile, feel like they’re succumbing to age, accepting the fact that they’re essentially a spent force and, rather than attempting to combat that, are simply falling into place. This is not a reinvigoration in any sense, and instead is Stone Temple Pilots hitting their very lowest ebb with seemingly nonexistent concern. What happens next is anyone’s guess, but the chances are it’s not going to be particularly good. 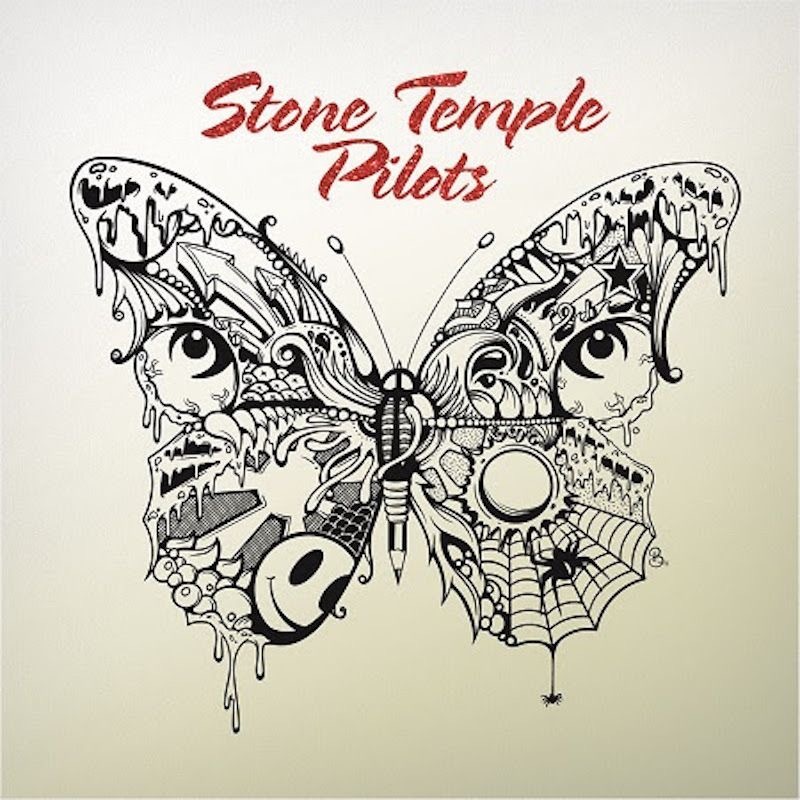 ‘Stone Temple Pilots’ (2018) by Stone Temple Pilots is out now on Play Pen Records. Luke, could not disagree more with you. While you consider production value the strength, I would argue that it’s the weak spot of the album. In addition, Gutt’s lyrics seem more evolved and with some welcome humility. Weiland was unable to execute hardly anything that was recorded when live either with Stone Temple Pilots or Velvet Revolver. If the new singer can get anywhere near what he is doing in the studio in live performance, he will confirm that he is not out of his depth. The musicianship carried the Chester Bennington project and not Bennington or his preachy self-torture. Gutt is a more natural fit. A little disingenuous on your part to praise them for enduring the loss of two singers as a pretext to the condescending, ageist hammering to follow. Both in terms of the melodic structure of the songs and overall musicianship, Stone Temple Pilots are operating at a high-level. Thought She’d Be Mine is a beautiful piece as well as reds and blues. Thought She’d Be Mine is the only song on the album that is over five minutes so I’m not quite sure what you’re talking about with songs needing to end sooner than they do. This review – 3 out of 10.